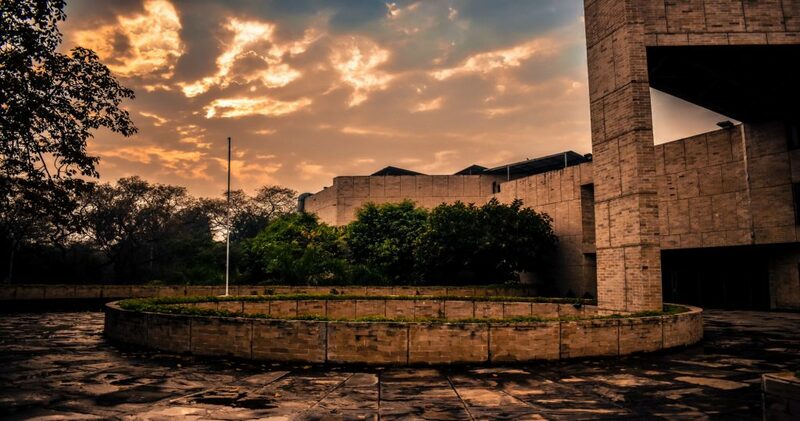 The dark clouds of the monsoon season were hovering over IIFT during our first week here. The thundering came upon us in the form of the seniors’ drive for discipline. The assignments struck us as hard and fast as lightening. Then the induction period came to an end with a refreshing and rejuvenating shower from the “Top of the World”, accompanied with united chants of “Go IIFT Go”. The Freshers’ party welcomed the Autumn to the campus when seniors turned into buddies and classmates turned into friends. The ramblings of the gloomy monsoon clouds made much more sense now to us, inciting a new sense of respect for the efforts that the seniors put in after us. The harsh winters arrived with the eight-hour long lectures, the guest lectures, the assignments and the competitions; everything arriving at once. Like the Delhi winter, to get through this phase is not for the fickle minded. But to help us through the hectic life of a management student, there were people all around, from roomies and loomies to buddies and from the hostel warden to the Nescafe guy, working to make our lives smoother in whatever way they could. These people brought the warmth in the cold and brought the home to the hostel room. Spring came with us blossoming into aspiring managers, getting a grasp on the multifaceted management life. The feeling of working towards the enrichment of our batch as a whole rather than an individual was best ingrained during this period. We were divided based on the sections and the areas of interest but still we stood united as the batch of 2018-20. And then came Summer. The sun shone high and bright and IIFT shone, us basking in its glory. The dedication of the professors inspired me to start a research paper of my own. The recognition that the institute received for its work to help the government formulate policies regarding international trade and the invite to formulate a committee to get India into the top fifty countries in the ease of doing business index, made us proud to be IIFTians forever. Aditya Birla Group is one of the most famous conglomerates with many business verticals under its umbrella. The exposure that one gets by working with a corporate of this magnitude will be of immense value. The company that interests me is the Aditya Birla Fashion and Retail Limited. The retail sector is one of the fastest growing sectors in India right now. An interest in the field of fashion, when clubbed with knowledge about the retail sector, excites me to work with the aforementioned company.